This appeared on Facebook last night and wow is it a game changer. 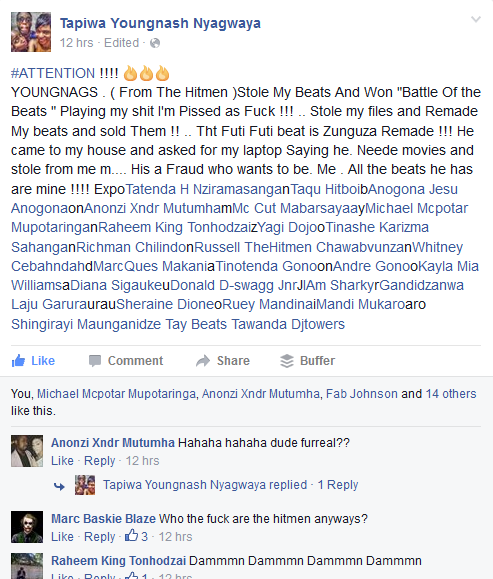 Youngnash called out The Hitmen producer Young Nags for stealing his beats, under the pretense of looking for movies. The beat Young Nags used to win the Battle of the Beats event were Youngnash's. The Futi Futi beat, produced by The Hitmen is said to be a remake of the Zunguza beat that Youngnash had made for Marcques. This is very bad press for the rising group whose other production credits could be discredited because of this. The music industry doesn't take kindly to knock offs, remember Milli Vanilli? Rayo (a member of The Hitmen) responded by saying that Youngnash is being petty, looking for attention and just sour over some female gwans. 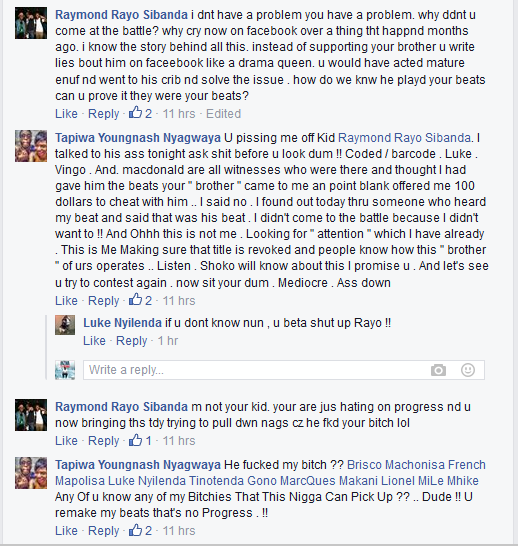 A bit of back and forth banter between Youngnash and Rayo... Not really sure how coitus has anything to do with stealing beats. Luke testifies as a witness to the incident in question. 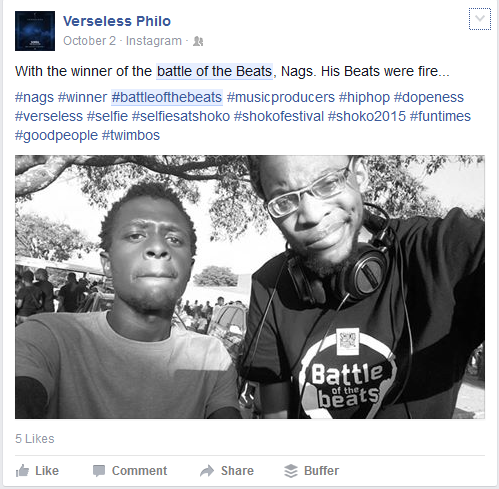 We wait to see whether of not the Battle of the Beats organizers (that includes Tash Mwana Wamai) will respond to this or silently watch. Young Nags is yet to respond.